Quality education in the early years of preschool sets a firm foundation in the overall development of a child. At ORGANIC KIDS, the nursery curriculum provides a right assortment of activities to help children move towards achieving their early learning goals. 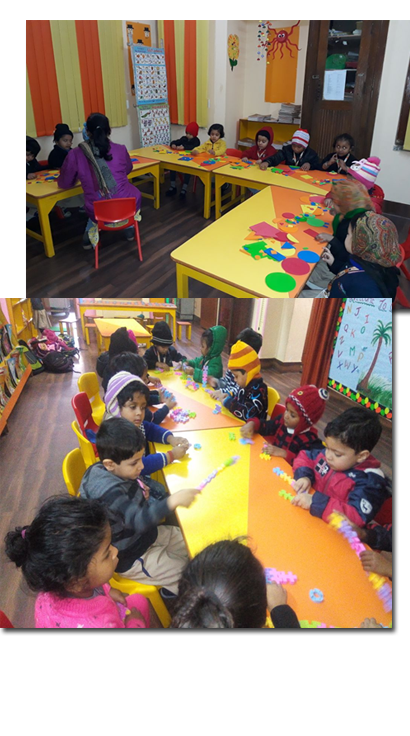 In Nursery, children are engaged in school readiness activities such as reading; writing, counting, number recognition and problem solving in a fun filled but purposeful manner. Children are encouraged to corroborate their learning through collaborative activities in the areas of dramatics, science and arts. ORGANIC KIDS has sensed the importance of technology in future to come. It has crafted the curriculum in a very simplified manner to impart learning and creativity through ANDROID TABLET which is included in day to day teaching and learning process based on the research paper of Stockholm University.